Rent a car in Hollywood, CA, with Sixt and have the means to get around Southern California in ease. We have several branches for car rental near Hollywood, CA. You can fly in and quickly take off with a rental vehicle from our Los Angeles Airport location or make use of our local branches in Beverly Hills, Santa Monica and West Hollywood. At all our locations you can choose from a diverse selection of leading brand vehicles. Whether it's a weekend away at the beach or a special occasion we can accommodate your budget and plans with our fleet of top quality rental cars. Cruise California in style with Sixt rent a car! Use our drop down branch menu to find out more about your options for car rental in Hollywood, CA. The second tab will give you an overview of where our locations are situated on Google Maps. See which location best suits your plans and check back on the first tab that the opening hours and car categories on offer meet your mobility needs. You can book easily online and include extras to customize your car rental. Please do note that as specific models are subject to availability at each Sixt location reservations will only be guaranteed for the selected car category. At our branches you can find an extensive array of compact cars, sedans, sports cars, convertibles and SUVs from some of the best manufacturers in the world. Do a quick price comparison and see just how affordable our rates can be on premium vehicles. We offer great deals on models from luxury brands such as BMW and Mercedes-Benz. Some of our locations also host a range of larger passenger vans which are great for group trips. Whichever up-to-date vehicle you choose it can be outfitted to fit your needs. Tack on a GPS, an additional driver, or extra coverage or protection for an optimal drive. We also have child seats for babies, toddlers and small children. Southern California is infamous for its intricate network of freeways and driving in and around Hollywood will mean navigating your way through them. You can generally reach your destinations on the many of the freeways in the Los Angeles area that form concentric rings around Downtown LA. However, finding surface streets can be a better alternative to the congestion typically encountered on the freeways. For example taking Santa Monica Boulevard in either direction to destinations in Beverly Hills, Hollywood or West Hollywood can often be a better option. Hollywood Boulevard and Sunset Boulevard are the main east-west streets running through central Hollywood. The main north-south streets are La Brea Avenue, Cahuenga Boulevard, Vine Street and Gower Street. When driving the side streets of Hollywood be careful that they are often quite narrow due to curb parked cars. If looking for a space yourself, you can make use of pay parking lots. Many offer discounts or a free hour if you get your parking stub validated by a shop or restaurant that you have visited. 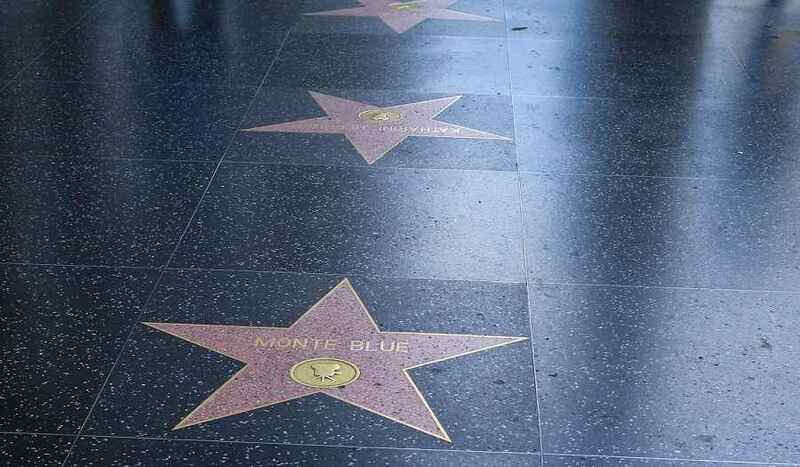 No trip to Hollywood is complete without a cruise along famous strips like Sunset Boulevard or Hollywood Boulevard. Another iconic street is Melrose Avenue where among the funky boutiques and stylish cafes you just might spot a celebrity or two. Other great shopping is offered at the The Grove and the Beverly Center. 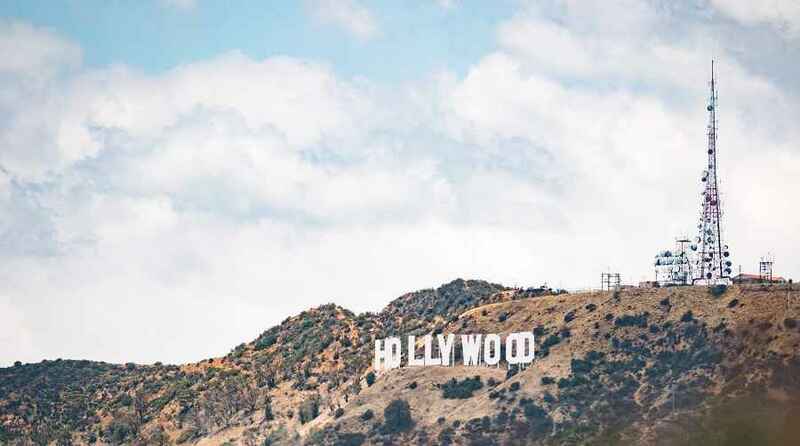 Or experience the world of Hollywood entertainment yourself and get tickets to a live tapping of a TV show or with a visit to Universal Studios. 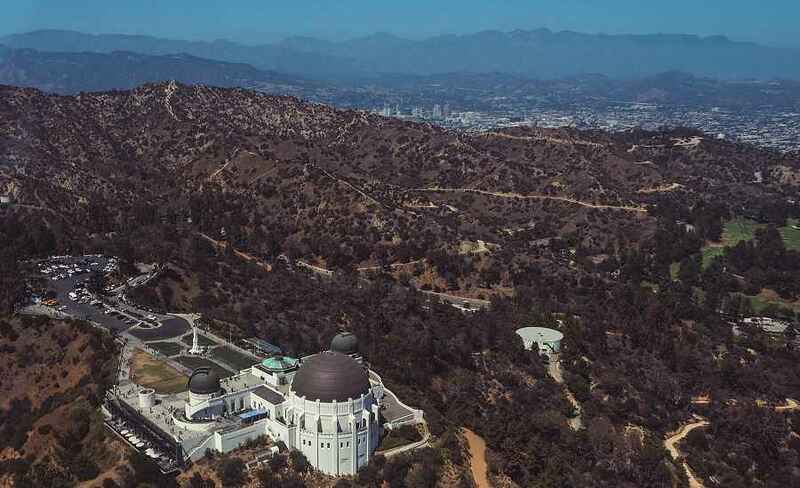 Of course a drive to hike up to the Hollywood sign should be on your itinerary as well as buying a star map to tour the Hollywood Hills marveling at amazing mansions of the rich and famous. Another idea is to view some real stars at the beautifully situated Griffith Park Observatory overlooking the city. Your car rental in Hollywood also gives you the chance to leave the hectic of the city behind. Cruise out of town and ride the scenic Pacific Coast Highway all the way north to San Francisco or head south to beach towns like San Diego. Although mostly known for being the home and host of the Tournament of Roses, or the Rose Bowl, Pasadena has other gems as well. For starters it has numerous museums that are worth a visit. Stop in to view masterpieces by the likes of Van Gogh, Picasso and Rembrandt at the Norton Simon Museum or get to know the legacy of California artists at the Pasadena Museum of California Art. The Huntington Library, Art Collections and Botanical Gardens are also recommended. Besides its notable cultural offerings, there are also great places to shop and dine. Head to Old Pasadena where you can enjoy a lively contemporary vibe in twenty-two block historical area. As it is in close proximity to the San Gabriel Mountains you can also combine your visit with a hike in places like Eaton Canyon. Malibu is a great destination to soak up the California sun in a glamorous setting. When not hanging out a popular spots like Zuma or Westward Beach you can take time to visit some of the other attractions. A visit to the Adamson House or a walk on the grounds of Pepperdine University are recommended. Hiking opportunities are also plentiful and a stop by the Escondido Falls Visitor Center can give you guidance on how to make your way to the waterfalls. One can't help but associate Hollywood with the entertainment industry. 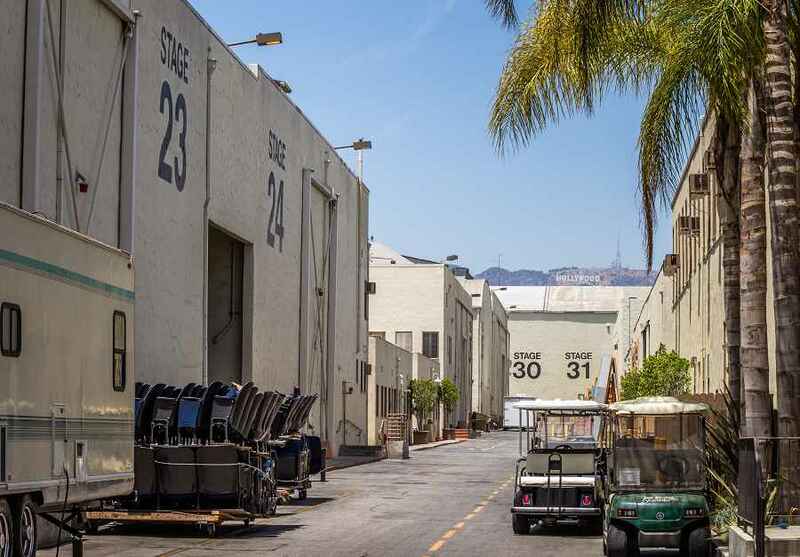 Although not as strong as it once was, the Hollywood and Burbank areas are still a big part of the industry. Paramount Pictures is still located in Hollywood with other major film studios such as 20th Century Fox and Universal Pictures situated within the city limits of Los Angeles. Often events are held at the Pacific Design Center in West Hollywood. Paying with a major credit card is the preferred method of payment and Sixt accepts all major credit cards. Debit cards may be accepted at the discretion of select Sixt rent a car locations along with two forms of government-issued identification, the available funds and the meeting of other stated criteria. A valid driver's license for all named drivers, valid for a minimum of 12 months. Driver's licenses printed in non-Roman alphabet (Arabic, Chinese, Cyrillic, etc.) must be accompanied by an International Driving Permit. Any driver's license originating from countries not part of the international driver's license treaty must also be accompanied by an official translation. Renters not from the United States must provide a valid government issued secondary form of identification such as a passport as well. For renters from the US paying with a debit card two proofs of address such as a utility bill or bank statement are required. Unless otherwise stated the rental quote/price displayed on the final page when booking includes the daily rate, statutory taxes, additional extras (if selected) and all applicable surcharges and fees. Cancellations and changes can be made at any point prior to the start of the rental. Prepaid reservations are subject to cancellation fees as well as other specific restrictions regarding amendments and refunds. Can I cross state lines and/or borders with my rental car? Territorial restrictions apply depending on the state the rental takes place. For specific information please contact a Sixt booking agent or refer to our Rental Information page. Typically one-way rentals between Sixt locations are allowed, however, additional fees may apply. International one-way rentals are not allowed. We provide all rental with a full tank of fuel, therefore it must be returned with a full tank of fuel to avoid additional charges as specified on the rental contract. In addition Sixt offers their customers the option of pre-paid fuel. By opting to pre-pay the fuel in advance you may return the vehicle with less than a full tank of fuel. In general, an authorization of a minimum of $200 plus the amount due for the rental will be taken as an authorization against your credit card for security purposes. The authorization will be higher for specialty vehicles. If paying with a debit card a deposit of $200 plus the cost of the rental will be taken as a deposit from the debit card. These funds will not be available to you during the rental period. If you cannot find an answer to your question or require more details, please visit our car rental FAQs page.